As a non-profit organization, the WMMGA serves the community through educational programs and seminars, phone and e-mail gardening hotlines, soil testing clinics, demonstration gardens, native plant restoration, and participation in local community activities. Master Gardeners are also available to give workshops, presentations and demonstrations to community, school and civic groups. 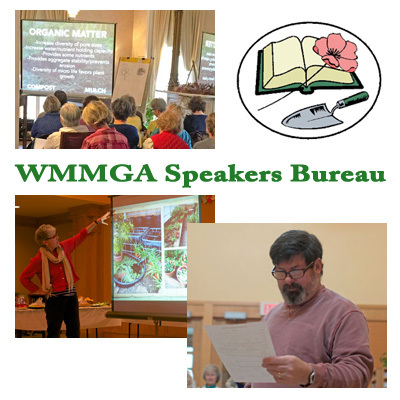 As members of a volunteer, non-profit organization, Master Gardeners do not accept fees for their presentations. However, the association welcomes a contribution to help cover our expenses and to make possible further efforts for the gardening public. For more information, please contact president@wmmga.org. Landscape for Life shows you how to work with nature in your garden, no matter where you live, whether you garden on a city or suburban lot, a 20–acre farm, or the common area of your condominium. Conventional gardens often work against nature. They can damage the environment's ability to clean air and water, reduce flooding, combat climate change, and provide all the other natural benefits that support life on earth-including us. The good news is that even one home garden can begin to repair the web of life. It's possible to create a great–looking garden that's healthier for you, your family, your pets, and the environment-and that saves you time and money. Landscape For Life is based on the principles of the Sustainable Sites Initiative™ program (SITES™), the nation’s first rating system for sustainable landscapes. SITES™ is an interdisciplinary effort led by the American Society of Landscape Architects, the Lady Bird Johnson Wildflower Center at The University of Texas at Austin, and the United States Botanic Garden in conjunction with a diverse group of stakeholder organizations. The WMMGA is very excited to offer the Landscape for Life program to local groups and organizations. Contact Pat Krusko, pat.krusko@yahoo.com for more information.